Fujitsu a Series Fan Problem – Fixed! 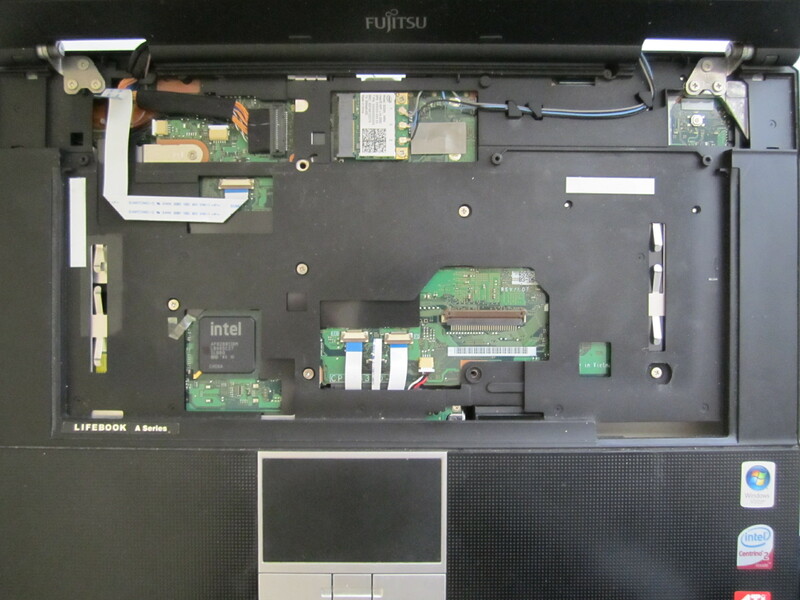 This Fujitsu laptop had an unusual problem. Its fan was rattling and was making so much noise. it’s owner was embarrassed to use it in the classroom! I tell you, it was pretty damned loud! And apparently it was already fixed once by some guy in orange county, however still was making a lot of noise! Without any guessing, we decided it needs to be taken apart and looked at, because there is no other way you can check it out without opening laptop up and getting to the fan physically. We have had cases in the past where the fan would rattle and they needed to be replaced. We thought this might be the case too. However it turned out that the little screw holding the fan in place was a little loose and it had some play in it. so the fan when spinning fast would start vibrating where the little gap was and it was creating a noise because of that. The problem was fixed in about 2 hours! customers came in, took a look or actually took a “hear” and said wow much better!!! 🙂 he was happy to get his fujitsu laptop back better than he found it! We were happy to have another happy client at overnight pc repair – fastest computer service place in los angeles! call us at 310-775-2397 to get your computer or laptop fixed! we do house calls and also come to your office!